Me, You and Magoo: Happy New Year! I can't believe its been nearly two months since I last wrote a blog post...oh the joys of moving house! The past few months have been extremely stressful, but now we're in our new house, I hope things will start to settle down and we can get some normality back. After having our whole lives packed up in boxes for the past few weeks, its been lovely to finally start taking a look at my vintage fabric and stock levels again. 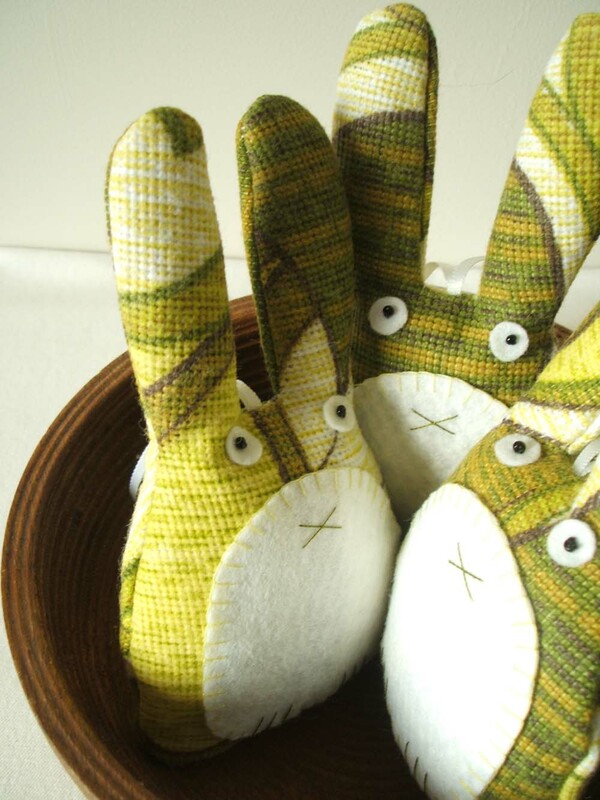 Top of my list is to make some more Lavender rabbits in Spring Green. I first blogged about these rabbits at the start of 2011 when Lu Summers very kindly gave me some vintage fabric. I decided I wanted to use this gift to "pay it forward" and raise some money for charity. I've sold 6 recently, which I am over the moon about because it means I've raised nearly £40 for Children's Hospice South West. I'm hoping to make some more over the coming weeks, so fingers crossed I can carry on raising more money for this fantastic charity.